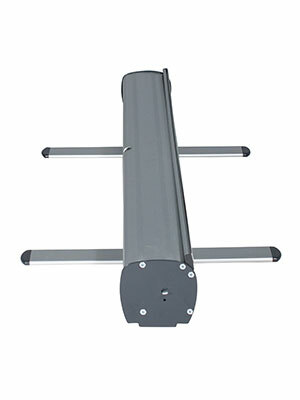 The Firefly Roller Banner stand is an anodised aluminium 2m tall roll up display stand, suitable for indoor use. Mount your banner to the stand using the snap top rail, and the self adhesive tab at the bottom. Once the release is pulled, the tensioned spring winds in the banner into the cassette ready for transport. All these display stands are designed for 2m tall banners, the banner should be printed to a size of 2150mm to allow for the unseen attachment area at the bottom. The Firefly banner produces a strong and durable portable banner stand. This model is similar to the Mosquito or Grasshopper stands, but at a lower price. Banner stand only, printed media not included. 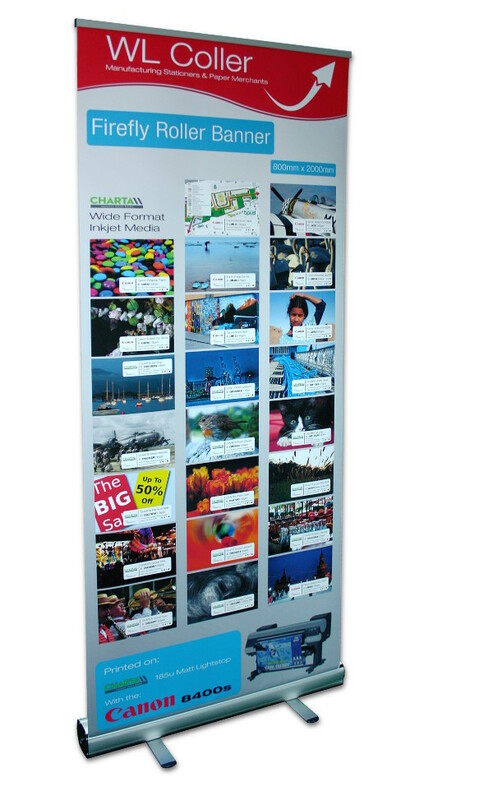 Media should be suitable for roller banner stands e.g.Charta Matt Lightblock.